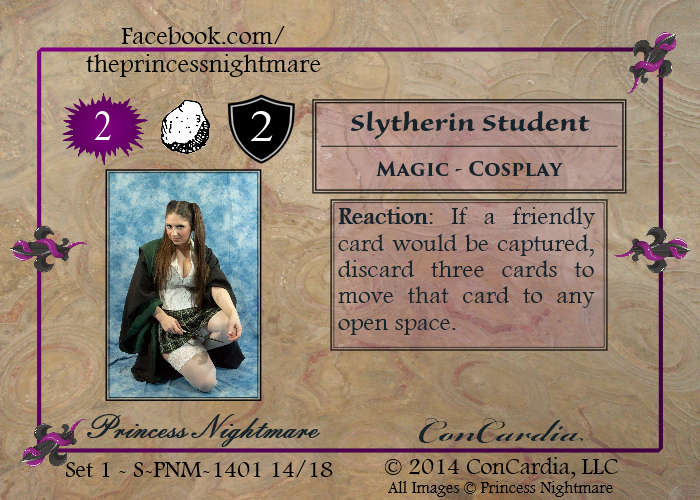 People keep asking us how they can get their hands on more awesome cards. 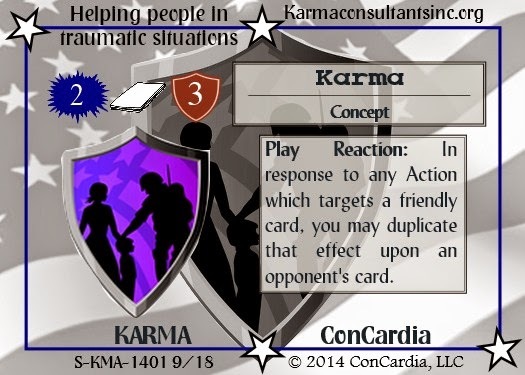 Until now, the only way to get cards was at conventions, and that is still the best way to get most cards, but now we introduce the ConCardia Shop! 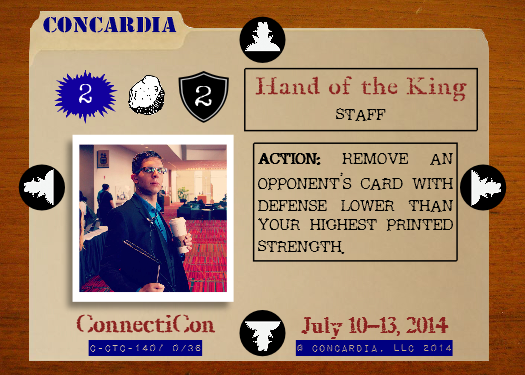 Do you have some friends that you would like to get playing ConCardia? 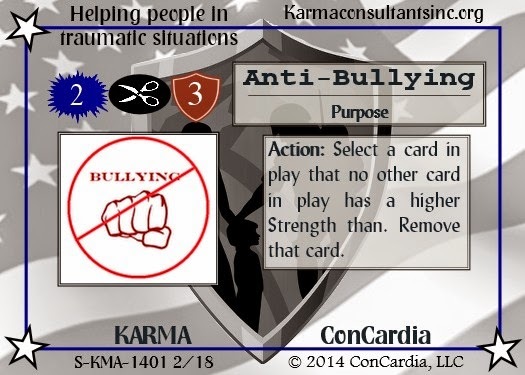 You can now have all the fun of ConCardia in the comfort of your own home or game shop! 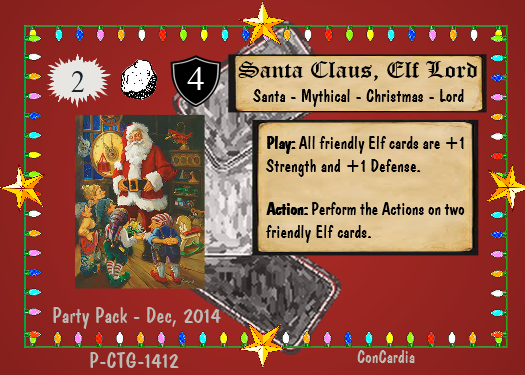 For $30 including shipping, we will send you enough cards for 6 players. You could do a standard draft, a Rochester draft, of even just divide the cards randomly. 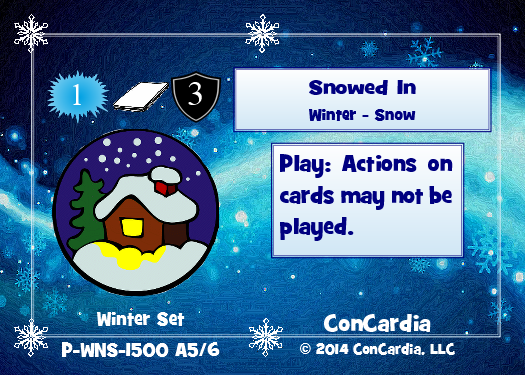 Starting December 2014, we'll have a new set every month, which will contain 30 new cards for that set, plus a random assortment of other cards from previous Party Packs and convention sets. Want to Get a Party Pack Automatically Every Month and save $5? Visit our Patreon page, and we'll automatically bill you and ship a set to your door every month. Packs through the Patreon program are only $25 each, saving you $5 on every pack. In this shop, you can buy both exclusive card sets and card sets made of cards from previous cons. Shipping is a flat $3.60 no matter how many packs you order, so order lots of packs right now. 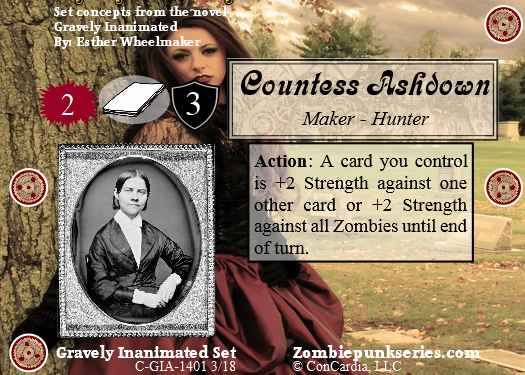 For each convention, we create an entirely new card set, and, because we never want to leave our players wanting, we often print a few more cards than we use at the convention. We have bundled these leftover cards into lovely 22-card packs for you. 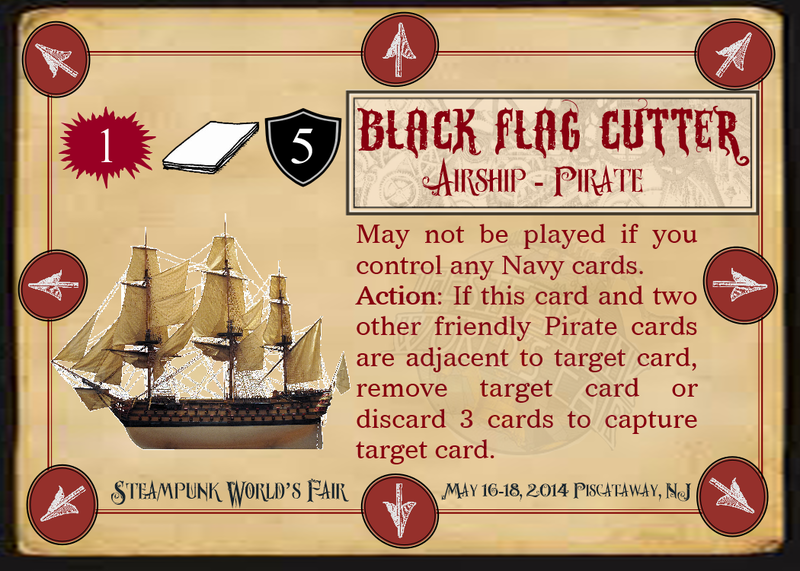 The Steampunk Worlds Fair set was a fantastic and enormous set featuring various themes including Pirate, Navy, Robot, and Maker. The two strongest themes were Pirate and Robot, and we have assembled these two sets into awesome card packs for you to buy. Pirates are sneaky and conniving, outflanking their opponents. 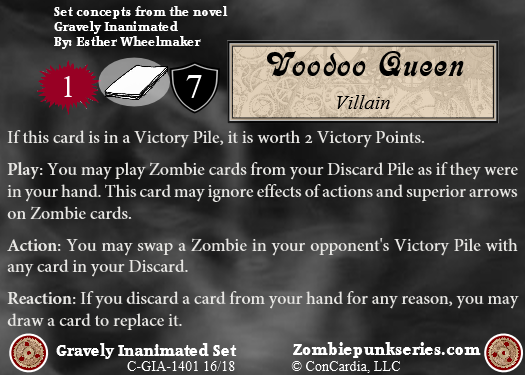 Pirate cards are built around moving cards to outflank opponents, and narrowly escaping attack. Robots are mighty, and the more come together, the more mighty they become. 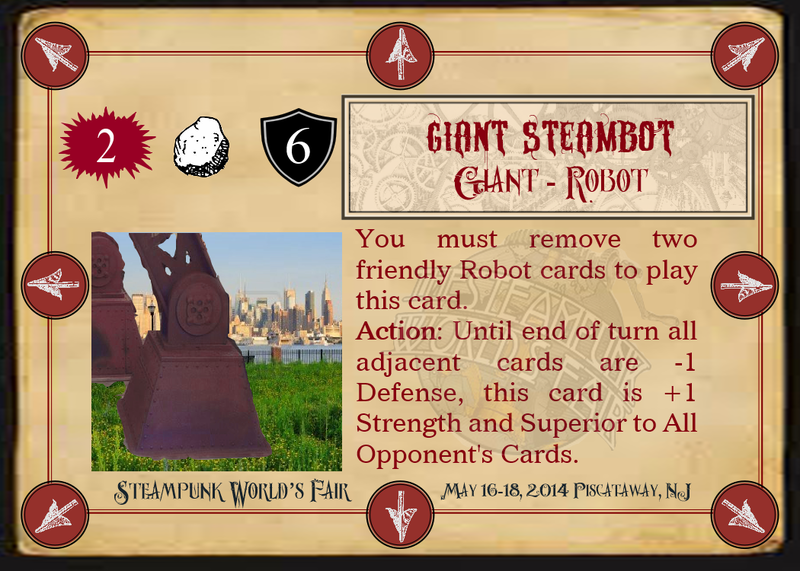 This deck is led by the Giant Steambot, an unstoppable mechanical monster that can crush almost anything in its path. 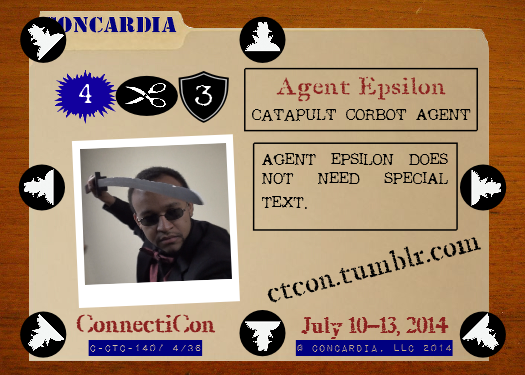 Connecticon is the biggest and best multigenre convention in Connecticut, and they produce the very enjoyable web series Agents of Catapult. 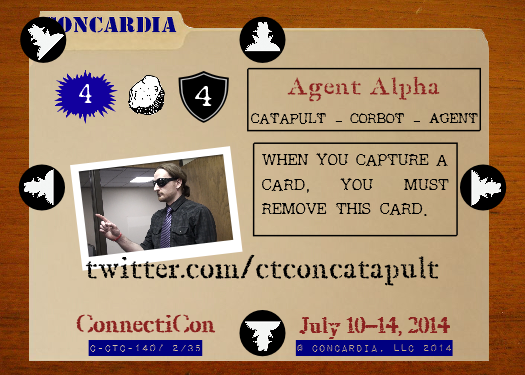 We had the honor of building a card set around the characters of Catapult. 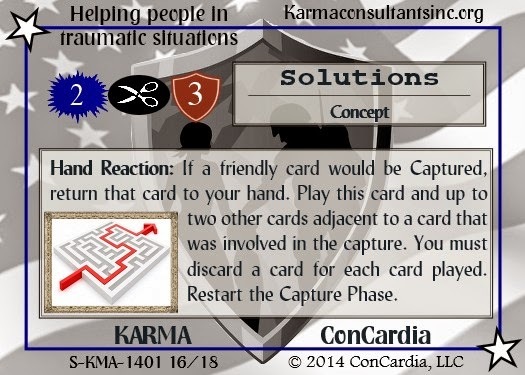 If you missed Connecticon, you have the chance to get your own piece of Catapult in your own ConCardia deck. Featuring the mighty Corbots, the flamboyant clones, and form shifting aliens. This set also synergizes well with Robot decks. 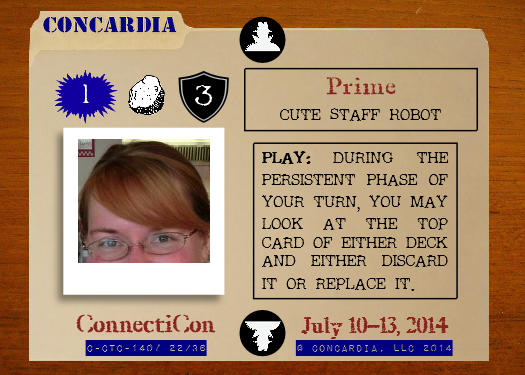 ConCardia is an amazingly diverse game, featuring everything from cute undead llamas and to giant robots to Internet memes. 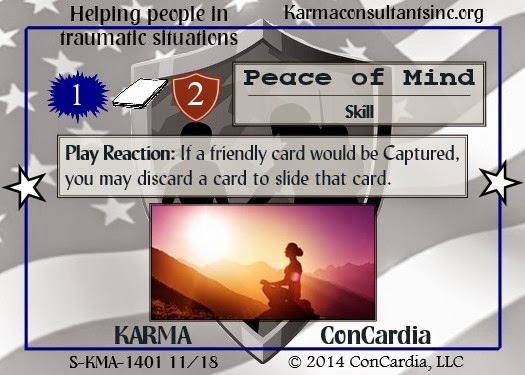 We are working on partnerships with a variety of awesome people from all around the Internet and geekdom to create card sets that highlight their fantastic endeavors. A portion of each pack's sale goes to support the excellent work of our licensing partners. 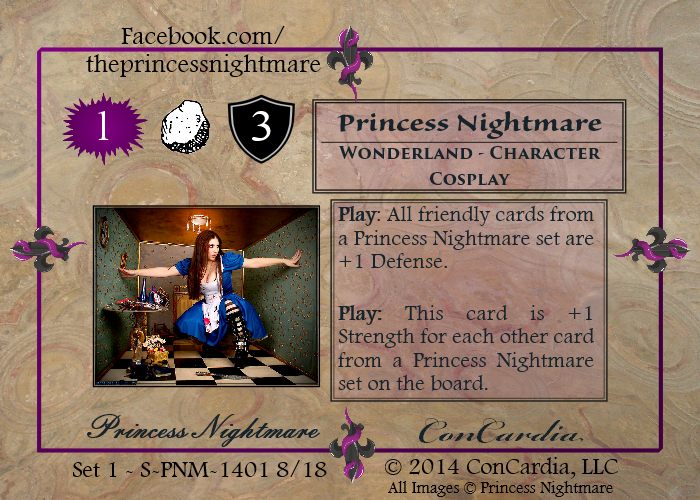 Our first licensed set is with the awesome cosplayer Princess Nightmare. With degrees in in Art History, Archeology, and Fashion Accessories Design, she excellently represents costuming from all aspects of fandom. 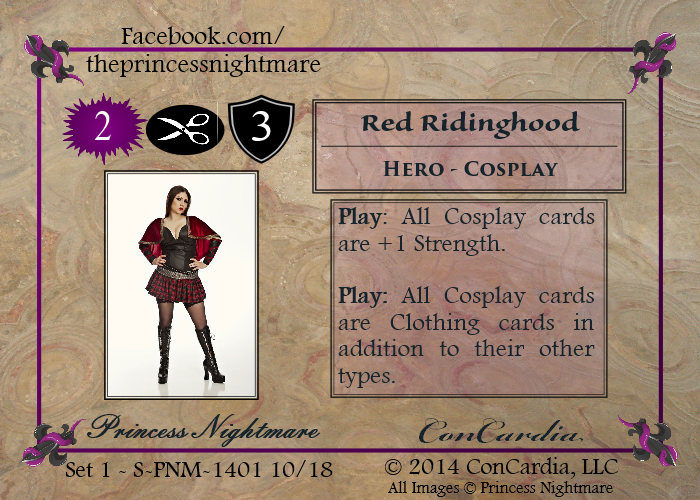 This card set is built around the Cosplay card type, but each card is themed around its respective character. Steampunk zombie romance. When those three words come together to describe a book, you know you have an awesome read! 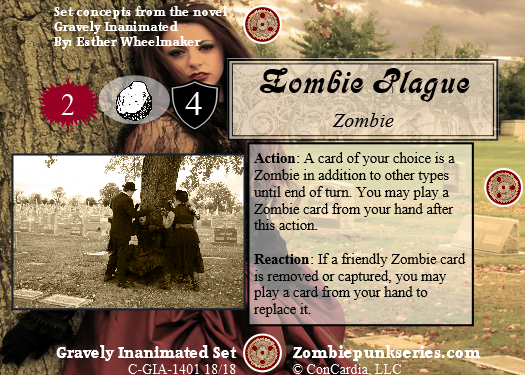 Classic Victorian romance with the twist of a zombie plague. Throw in an eccentric inventor, killer robots, and The Villains, and you have a book like no other. 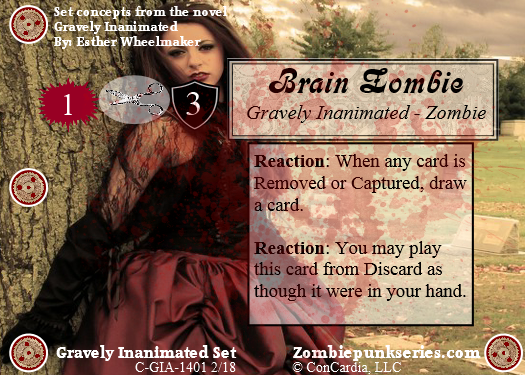 You can find the book at the Zombiepunk web site, and you can get the ConCardia set here! http://www.karmaconsultantsinc.org/. 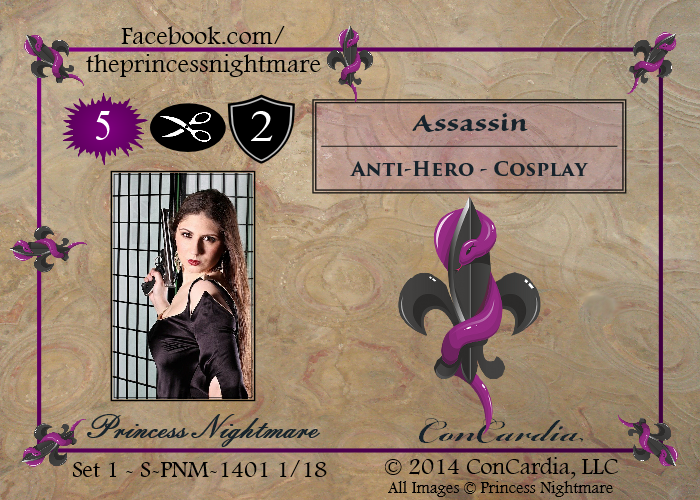 You can buy their card set right here, and remember that a portion of every set sold supports the organization.